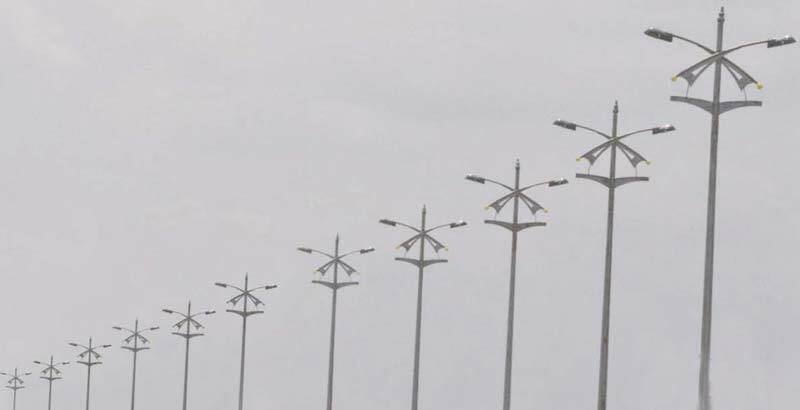 JINDAL presents wide range of Octagonal Pole, for primary use as street lighting poles. Products are fabricated using premium quality raw material and are customized to client’s specification. The Poles are manufactured from tapered polygonal or circular sections, which are slipped together at site and so maintenance of close tolerances and straightness are trust areas. They come ready as flange- plated, galvanized and custom designed. 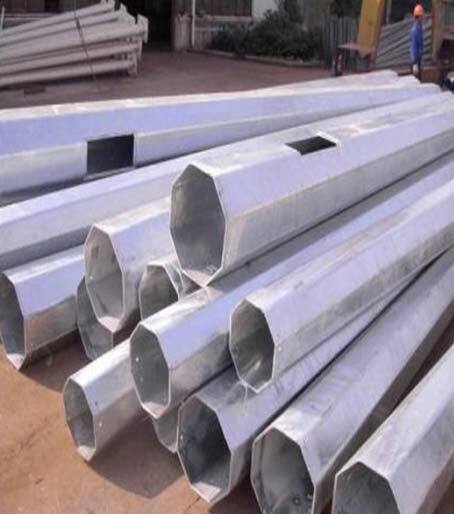 Use of high-strength sheet steel and can produce single - piece poles up to a length of 14 meters. The two shell halves are welded together with advanced systems and with automatic sigma machines. Galvanized through single dip process at the company’s in house sophisticated galvanizing facilities, and guarantees great corrosion resistance. X-ray, ultrasound, and surface crack inspections ensure top material quality and help maximize the life of poles and masts. Material Protection : Hot dip galvanized as per IS 4759/ BSEN- 1461 on both internally & externally by seven tank process.